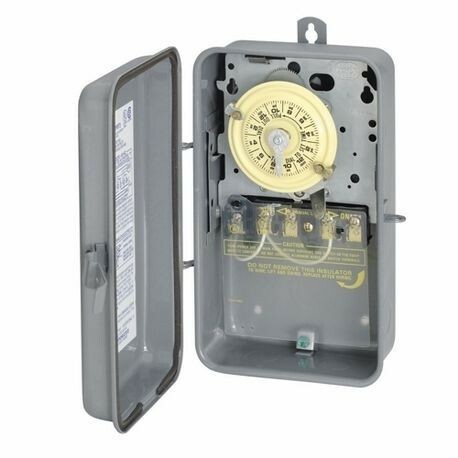 This heavy-duty steel case electromechanical time switch is designed for industrial, commercial and residential applications. It features a high horsepower rating that is ideal for loads up to 40 amps resistive from 208 volts and direct 24-hour time switch control of most loads. All models are equipped with one ON and one OFF tripper. The unit contains a 1-circuit standard On/Off Single Pole Single Throw 40 Amps, 4000 watt capacity, 208-277 volts.